Named one of the Three Views of Japan along with Miyajima and Amanohashidate, Matsushima in Sendai is one of the Tohoku region’s most famous touristic sites. 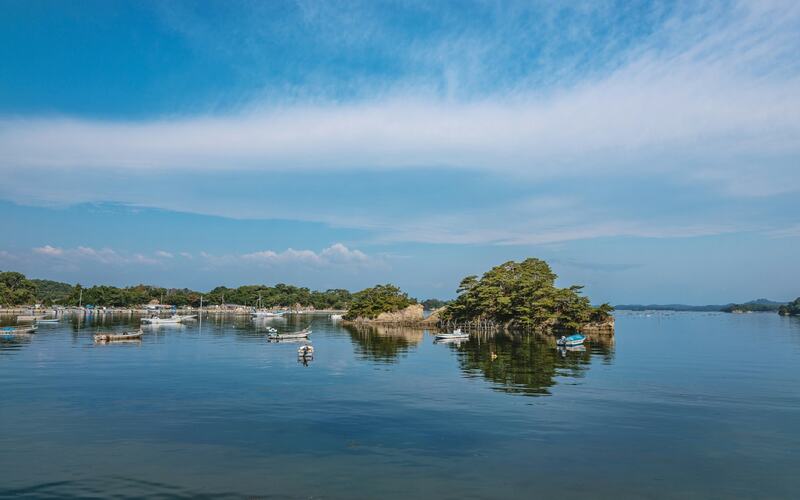 Matsushima Bay is dotted with around 260 islands of various sizes, all covered with black pine trees. It is no wonder that this has long been called one of Japan’s three most wondrous sights. A stone monument to the Three Views of Japan. Amanohashidate and Miyajima have identical monuments. You can enjoy the beautiful view of Matsushima from an observation deck, or while cruising around on a boat. If you have time, I recommend either staying until nighttime or finding accommodation in Matsushima to see the area by moonlight. The famous Edo Period poet Matsuo Basho described it in his travel diary Oku no Hosomichi saying, “The Matsushima moon was already on my mind.” It goes without saying that moonlit nights here are gorgeous. If you are visiting without a car, your best option is to view the little islands and interesting rock formations from one of the cruise boats sailing around the sea. A total of three companies manage all the sightseeing boats in Matsushima. Large, medium and small sized boats are available, and each company has different courses prepared to meet various customer needs, so there is a lot of flexibility of choice. If you would like to experience the basic cruise route, take one of the large boats to see the famous Nioh and Futago islands. The boat will take around 50 minutes (or 40 minutes for a medium sized boat) to go around Matsushima Bay. Cruise tickets can be purchased at the Matsushima Tourism Association window for ¥1,500. The Daisan Nioh-Maru, a large sightseeing boat. Matsushima looks nice in the rain, too! This time, I had the opportunity to visit with Mr. Yabe, a director at Marubun Matsushima Kisen Cruise Company. Mr. Yabe was very grateful for the support that came in from all over Taiwan after the earthquake. Fukuurabashi, a red bridge connecting Fukuura island to the mainland, was destroyed in the tsunami, but was later restored thanks to donations from a Sun Moon Lake tourist boat company. This was all because of Taiwan’s support. A photo of Sun Moon Lake is displayed at the Fukuurabashi entrance along with words of thanks in Chinese and Japanese. The bridge has now become a bridge of friendship between Taiwan and Japan. A lot of Taiwanese tourists actually come to Matsushima as well and the sincerity of the Taiwanese people is definitely palpable. Mr. Yabe also passionately told me about a campaign he recommends. For ¥1,500, you can go on a sightseeing cruise, experience grilling a local specialty fish cake called sasa kamaboko, and enjoy a baked oyster. This set saves you ¥400. You can also make reservations in English so check the official Marubun Matsushima Kisen website if you are interested. Once you have finished seeing Matsushima’s famous scenery, move on to the historical and cultural treasures preserved here. Date Masamune, a well-known figure from history, novels, anime, and games, left behind numerous architectural structures in Matsushima. The most famous of these is Zuiganji, a Buddhist temple and national treasure. Zuiganji, previously named Enfukuji, was opened in 828 by Jikaku Daishi, the head priest of Enryakuji. The temple deteriorated for some time during the Warring States Period, but it once again came into power under the protection of Sendai’s ruler Date Masamune after the Battle of Sekigahara. This was when its name was changed to the current Zuiganji. The luxurious main building is dedicated to the bodhisattva Avalokiteśvara, known as Kannon in Japan. The building contains a total of 10 rooms, each with different ceilings and fusuma paintings. Repairs were begun on the main building in 2009 and it was reopened to visitors in April 2016. 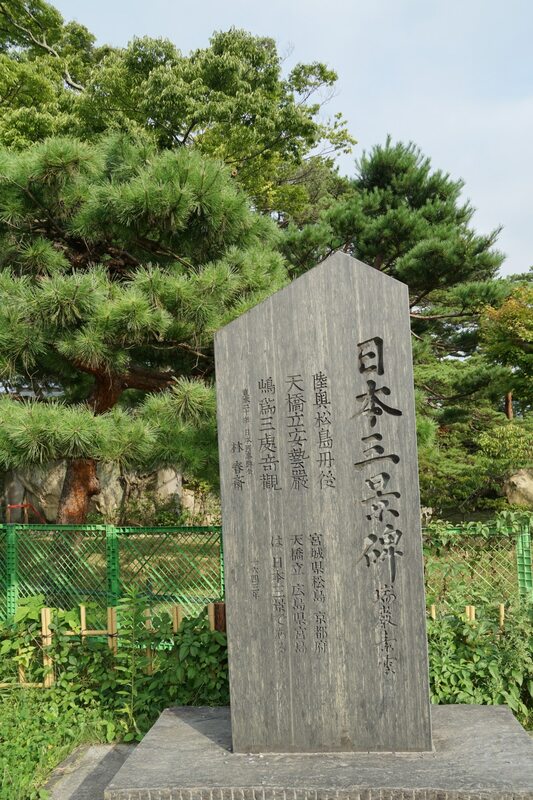 Other historical sites connected to Date Masamune include Godaido, a temple built on a small island in Matsushima Bay, and Kanrantei Tea House, which was transferred from Fushimi Castle in Kyoto. If you have time after seeing the famous Matsushima, check out the Fox Village in Shiroishi in southern Miyagi Prefecture. Like Tashirojima, the Fox Village is a Miyagi Prefecture touristic site that has gotten a lot of attention from foreign tourists. There are long distances to travel across the Tohoku region, so sightseeing with a rental car will save a lot of time. But if you prefer to travel by public transportation like me and still want to go see cute foxes, you have to decide ahead of time which day you will go. There is a bus every Tuesday and Friday from JR Shiroishi Station to the Fox Village, which costs ¥200 one-way and takes around an hour. To accommodate an ever-increasing number of tourists, Shiroishi City is experimentally increasing its number of buses on weekends and holidays (except from December 30 to January 1) from October 1, 2017, to March 18, 2018. The bus fare is ¥500 per ride, and you can catch a bus from Joka Hiroba (Shiroishi Castle). This is very convenient for tourists making plans for a weekend or holiday. Every tourist, including myself, gets very excited when seeing a fox for the first time. I was snapping photos nonstop from the moment I entered the village. I especially fell in love with the sight of foxes curled up sleeping. But even so, these are wild foxes, so you have to be careful not to get bit and refrain from reaching out to them or touching them. Foxes curled up sleeping are so cute! They are adorable while sleeping. These tourists are happy to meet the foxes. If you want to feed the foxes or take a lot of photos of them, you can go to the designated feeding area. Fox food can be purchased at the ticket booth. A lot of foreign tourists visit Fox Village. This time, I made some new friends too. Talking with others about the interesting things you’ve experienced on your trip to Japan is one of the great pleasures of travel. A tourist from Taiwan taking pics. There are no other tourist attractions near the Fox Village. Two hours is more than enough time to see the village and take photos. If you would rather not wait for a bus back, all you can do is take a taxi. At around ¥4,000 back to JR Shiroishi Station, it’s not cheap, but you can alleviate the cost by getting four people in the taxi together. I myself shared a taxi with some exchange students I met at the Fox Village to get back to JR Shiroishi Station. The first thing that comes to mind when it comes to must-try gourmet food in Sendai is beef tongue. Sendai’s beef tongue is said to have been thought up after World War II by Chef Keishiro Sano. In addition to the central beef tongue, a beef tongue set meal also includes the specific side dishes: tail soup, rice with barley, asazuke pickles, and chili miso nanban. The beef tongue is commonly flavored with salt, soy sauce or miso. Since I wasn’t staying long in Sendai this time, I went to the most popular restaurant, Rikyu. Rikyu has branches all over Japan. It always tastes the same and is cheaper than most other restaurants, so it is loved by tourists and locals alike. A staff member devotedly grilling beef tongue. A great way to end my trip.